It's all about vintage on the show this weekend! There'll be plenty of live music throughout the weekend too. Jive to the sounds of Glen Miller and sing along to some of those silly wartime songs with Johnny Victory - and you'll need your dancing shoes again to join in the fun as members of the Lincolnshire Lindy Hop Clubs and DJ Dr Swing take centre stage to teach you a few steps! Hot on Harriet's heels, Maxine Hoole-Jackson will be continuing the 'something old, somewhere new' theme in the second hour of the show. 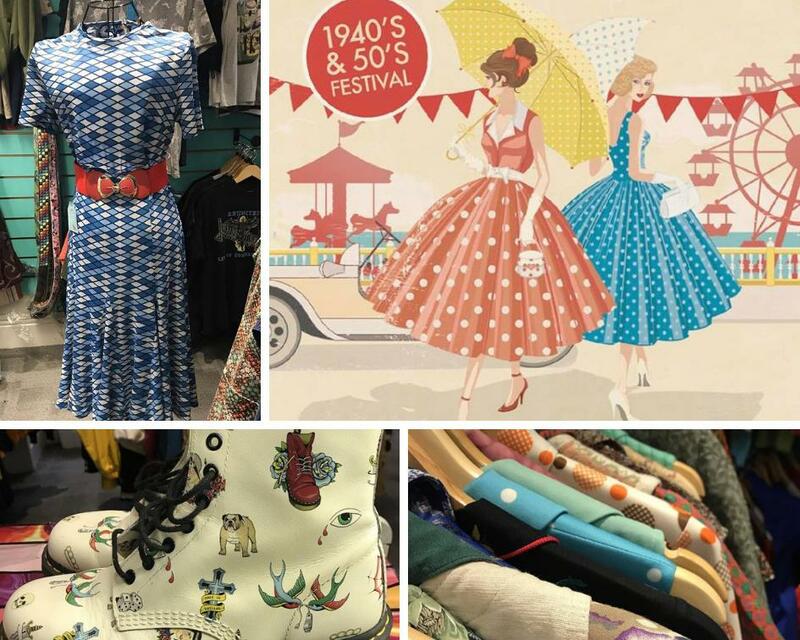 She'll be chatting to June and Rosalyn about her passion for vintage fashion and accessories, a passion that's obvious to customers lining up to browse and shop at Rocket Retro. Recently re-located to The Arcade in Newark, it's a tiny treasure trove that reflects Maxine's own colourful, quirky style. Find out where and how she sources the pre-loved items on sale and why giving a new lease of life to everything from t-shirts to tea dresses, boots to bags - and more - is so important to her.